The Twin Therapist massage is a truly relaxing experience in Cheltenham. We select oils depending on your own personal requirements and begin the massage. Working through the key muscle groups, tension may be removed, joints become more relaxed and stress reduced, leaving you feeling calm. You will drift off as you receive a facial massage, whilst simultaneously receiving a synchronised foot massage. This sends you to dream land and makes the twin therapist massage a truly wonderful experience. Deep relaxation is the key to good health, therefore we treat the whole person and use oil blends that suit your emotional as well as physical needs. The treatment may help relieve the effects of stress, increase relaxation and increase a sense of well being. 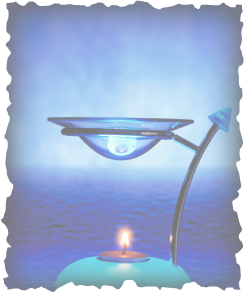 Aromatherapy can also be used to target specific conditions. We believe in practicing the holistic approach allowing the body to naturally re-balance and heal itself. We'll look after you from start to finish. We pride ourselves on our quality of service. We do not claim to cure or diagnose, but offer advice which may help you decide your next steps. Privacy - Soul Serenity treat the information provided with the strictest confidence and never share your information with third parties. information to third parties for marketing purposes. However reserve the right to work with medical and other professional and with your consent. bespoke deep tissue massage cheltenham at soul serenity and sports deep tissue massage to work with you in a complementary way to get you playing sports again. Sports massage can ease aches and promote healing to help you back massage to sport, massage cheltenham via a sports focused massage with sports in mind. Our Reflexologists will create complementary treatment plans to ensure you get the most from reflexology therapy, or maybe enjoy aromatherapy or maybe a pedicure, manicure, with both luxury manicures, and pedicures as well as luxury essential oils used in our aromatherapy.